Since the inauguration of the National Christian Elders Forum (NCEF) we have learnt a lot about the history of Nigeria, and from our research we are of the firm belief that an Islamic Jihad has been taking place since 1975 when General Yakubu Gowon was overthrown. It is the desire of the NCEF that this Jihad should stop. And, for this to happen all barriers erected by the British and the Islamists, should be pulled down and bridges built in their places. In the paper titled “Weapons Win Jihads But It Takes Ideas to Win the Peace” prepared by the NCEF, we request that copies off this paper be circulated to the five Church Blocs, with a request that they enrich the document, by including Biblical and Christian quotations appropriate in the circumstances and to provide additional facts and ideas, to terminate the on-going Jihad and for all Nigerian Christians, Muslims, and Animists to win the peace for Nigeria. There are however other issues concerning Christians in Nigeria that are not in the write up but need to be addressed by the Nigerian Church. 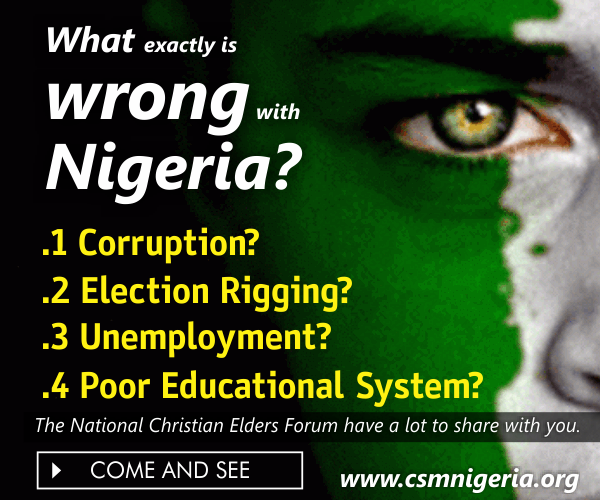 Nigerians are told that Christians constitute over 50% of the population in Nigeria, yet government in the past and present do not reflect this percentage especially concerning security. The perception has been formed that Christian leaders in the three tiers of Government and the Clergy, having been compromised economically and politically, are prepared to play the role of proxies and agents of the Islamists in Nigeria. This perception needs to be corrected and the NCEF requires ideas from the Church Blocs. Monarchs, such as the British crown, survive by adaption and invention and not by stealth Jihads. Military Officers who are now traditional rulers in the country need to appreciate this fact in the interest of traditional institutions in Nigeria. As can be seen in the paper, traditional leaders must ensure that the Indian situation whereby the Maharajas were proscribed does not occur in Nigeria. The NCEF visited some Christians in Executive positions, and with the exception of the Vice President, left with them NCEF document as an Aide Memoire suggesting a political platform in Nigeria that adequately represents Christians. (Copy attached) After our last visit on Thursday 28th January, 2016 to see the Vice President, Pastor Yemi Osinbajo, other Christians in Executive positions including Governors of Akwa Ibom, Rivers and Edo states would not meet with us. The impression we got was that these Christians in Executive positions were instructed by their Islamist “masters” not to meet with us. In the circumstance, Church groups should encourage their members in the Executive and Legislative positions to meet with the NCEF as a step to make votes in the country count and thus return power to the people in the process promote democracy not Islamism. We take this opportunity to register our gratitude to the Vice President, Speaker of the House of Representative, Governors of Taraba and Ondo who have met with us, and with whom we have shared ideas for the unity and prosperity of our dear country, Nigeria. On the paper, “Weapons Win Jihads But It Takes Ideas to Win the Peace” part of Mr. Solomon Asemota’s petition to the DSS was circulated to six eminent Nigerians, mostly Christians, including our one and only Nobel laureate, Professor Wole Soyinka who is a Nigerian anywhere and anytime, in New York and Abeokuta. He has never seen himself as a Southerner. 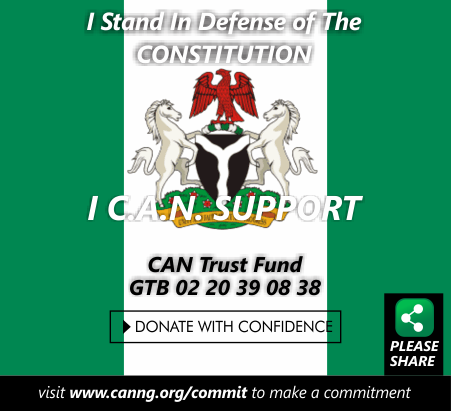 We therefore request that the CCN contact General Yakubu Gowon and Chief Albert Horsfall. The CSN should contact Cardinal Onaiyekan and Chief Aleghe. PFN should contact his Eminence, Pastor Oritsejafor, for his comments notwithstanding that his concerns contributed to the formation of the NCEF. CAN Secretariat should contact Prof. Wole Soyinka. The object of the contact is to verify whether they received copies of the petition to the DSS and what actions they took and whether any attempt was made to bring the content of Mr. Asemota’s petition to the notice of the then President, Goodluck Ebele Jonathan. Finally, we wish to state that the NCEF is not trying to score points against the faceless Islamists in Nigeria. Rather, the object of the whole exercise is to tear down walls between various groups in Nigeria, build bridges for the future of Nigeria, the continent of Africa and the black race.